Vilece is committed to delivering IT Consulting and Managed Support services primarily to clients in the Northeast and Southeast United States. We have full time staff covering Connecticut IT Consulting, as well as staff in New York and Central Florida. We also remotely support branch offices around the world. As leaders in Connecticut IT Consulting, we offer full hardware and software management for clients in the Eastern United States, but also remotely worldwide. We maintain strategic purchasing relationships with Adobe, APC, Avaya, Cisco, Citrix, Cybernetics, Dell, ESET, FortiNet, GFI, Hewlett Packard, IBM/Lenovo, Microsoft, Symantec, and many more. We can assist you in acquiring the right hardware and software for your specific Information Technology needs and budget. Cloud computing is one of the hottest topics in the industry today. Most people do not realize that Cloud computing has been around for quite some time. There are circumstances where Cloud computing can save money, reduce capital expenditures, and bring enabling technologies to your workforce. In other circumstances traditional networks do a better job of meeting your business needs. Whatever the case, Connecticut IT Consulting Professionals – Vilece – would like to work with you to determine what the right solution is for your business. Vilece was an early adopter of Virtualization technologies. Server and Desktop virtualization has matured and proven to be a viable, cost effective way to leverage your investment in hardware. We prefer Citrix XenServer, but also work with Microsoft’s Hyper-V and VMware solutions. Let us show you how Virtualization can reduce hardware costs and improve reliability in your business. The key to designing the right system is listening to you and understanding your needs. We are a relationship driven company seeking to become your go-to IT partner. Give us an opportunity to get to know your needs so we can provide the right solution for you. 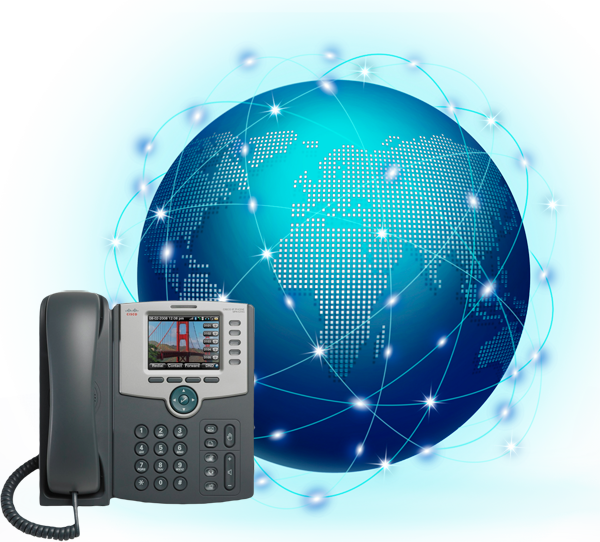 Voice over IP can mean different things to different people and understanding your requirements is key to choosing the right telecommunications system for your business. Because of the convergence of data and voice, it is a natural evolution for your network to coexist with your phone system. We can work with your existing voice provider or implement and manage a new system that meets your needs. Email us or give us a call anytime. We would love to discuss finding a custom solution tailored to your business.